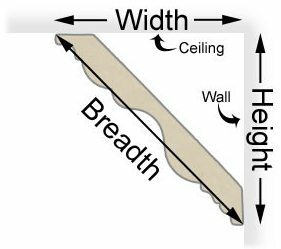 This moulding is complemented well by several styles of our decorative inside 90 degree corners (limited outside corners available). Add elegance to your project and remove the difficulty of making the corner cuts...simply install the corners and square-cut mouldings to fit! Links to each of these preformed corners are found at the bottom of this page.